Trains still run near the Strawberry Line – just. Despite the closure in the 1960s there are places where the sound of steel on steel can still be heard. At Yatton the mainline trains connecting the West Country to London thunder by while at the other end of the line at Cranmore the East Somerset Railway keeps alive the heritage of steam. But for most of its length it is either an overgrown wilderness, a cycletrack, turned into roads or has been developed into homes, gardens or businesses. Since it closed as a railway line in 1965 residents have used parts of the route as unofficial walks. 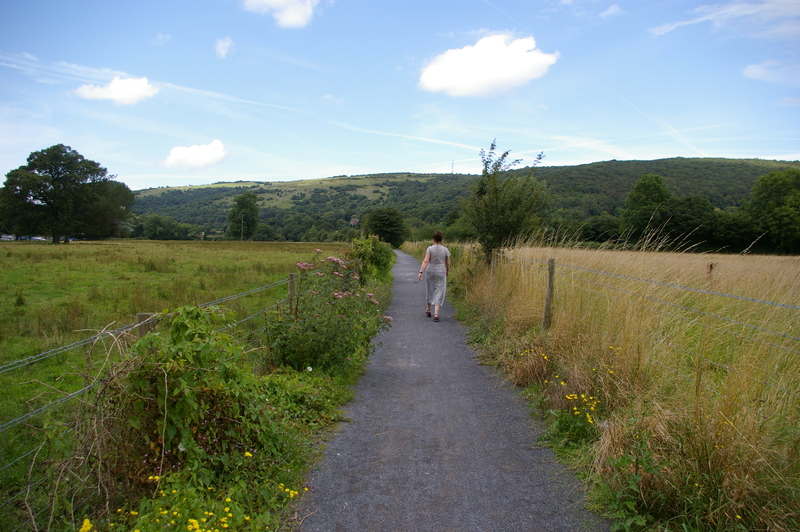 In 1987 several public spirited individuals formed the Cheddar Valley Railway Walk Society which persuaded the district council to buy much of the line and lease it to the society as a walk and nature reserve. The walking society teamed up with the Axbridge to Cheddar Cycleway Group and the Yatton & Congresbury Wildlife Action Group, to eventually create a ten mile long walk and cycleway between Yatton and Cheddar in partnership with North Somerset and Somerset County Councils. Eventually the combined groups hope to extend it through to Wells and possibly also to Wrington and Clevedon. The land between Yatton and the A38 is a designated Local Nature Reserve, the largest in North Somerset. The railway lasted almost a century opening in 1869 and closed in 1963 to passengers although freight transport continued for a couple more years. It became known as The Strawberry Line because of the amount of the soft fruit that were taken by rail to market throughout the summer. At Wells it joined the East Somerset Railway to make a through route via Shepton Mallet railway station to Witham and at Yatton another line headed north to Clevedon on the coast. In the 19th century railway companies were private and numerous which accounts for the bit part nature of the railways in later years. There was a section from Wells to Shepton Mallet, another company operated through Wells and another to Cheddar. Yatton was under the control of the Bristol and Exeter Railway, which opened the branch through to Cheddar on 3 August 1869. The Bristol and Exeter was acquired by the GWR in 1876, and two years later had integrated the whole line. 1878. 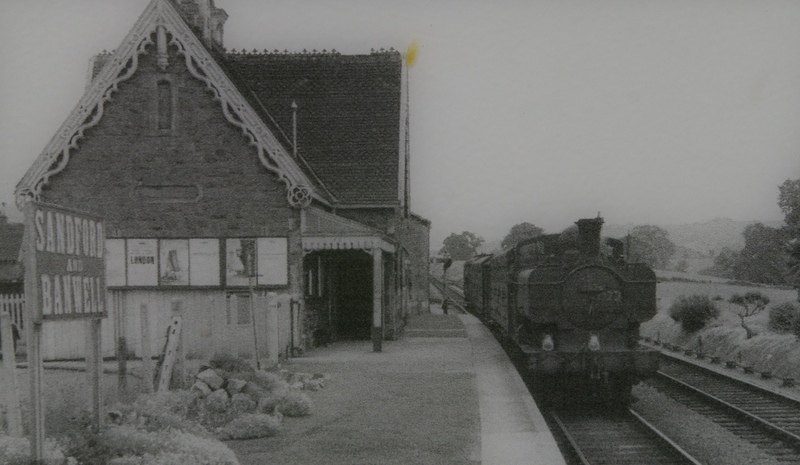 The line was single-track for most of the journey between Yatton and Wells, apart from the junction at Congresbury. On 4 December 1901, the Wrington Vale Light Railway opened a branch from Congresbury to Blagdon. This survived until 14 September 1931 for passenger traffic, and 1 November 1950 for goods traffic. The Cheddar Valley Line survived until the “Beeching Axe”. Dr Beeching was commissioned by the Government in the early 1960s to review the state of the railways as they were losing money. His main findings were simply to close down vast numbers of lines in order to save cash. 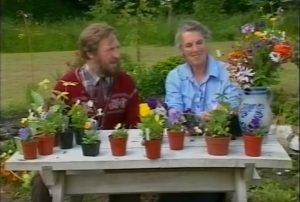 Despite the cuts, the network continued to lose money, but it gave a massive boost to one industry: those involved in building motorways. Since those short-sighted days, many of the disused lines have reopened, new lines and stations have appeared while the Government is committed to an expansion of the national high speed train network. These are perhaps some of the reasons why Dr Beeching’s name now inspires such contempt. The first attempts to legalise the route as a walkway began in 1976 when residents in Winscombe approached British Rail through the Parish Council to ask for a section in the village to be used as a safe walkway for school children. This fell on deaf ears. Landowners then began to fence off the railway to increase garden size or for grazing which led to a battle between those using the track as a path and the land grabbers. 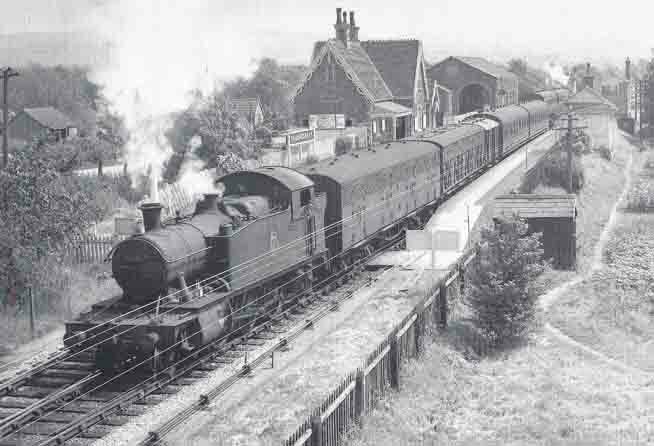 A campaign by a newly formed action group led to the decision by the train company to sell the line – which eventually was purchased on the residents’ behalf by the district council. Opposition to the line came from farmers and householders in Winscombe who wanted the land for themselves and it took more civic battles before the Winscombe section eventually became a public right of way in 1983. More work had to be done to join up the path from Cheddar to Yatton before the entire stretch became the cycleway and walkway we know today. Of course, there’s still another 10 miles to be opened up from Cheddar to Wells, plus the off shoots to Clevedon and Wrington. In the meantime what has been achieved is now part of the National Cycle Network route 26. And it is all thanks to the work of those early pioneers back in the 1970s and 1980s who began to make it a public right of way.